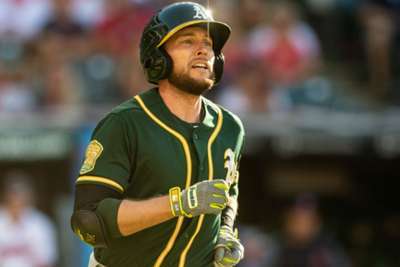 The Oakland Athletics drew even with defending World Series champions Houston Astros in the American League West on Saturday thanks to a 7-1 win. Oakland have now won two straight over the Astros with the chance at a sweep on Sunday. Trevor Cahill led the Athletics by tossing seven scoreless innings with seven strikeouts and just one hit allowed. He improved to 5-2 with a 3.12 ERA with the sterling performance. Now with six wins in their last seven games, the Athletics look poised to make the postseason. They have two ways of making the playoffs: winning the AL West, or earning a wild-card spot. They are four games ahead of the Mariners for the final wild-card berth and three games behind the Yankees for the top spot. Oakland were 34-36 on June 15, barely even an afterthought for postseason baseball. But they are 40-13 since, proving why they have become one of the most surprising teams in MLB. The Mets finally gave Jacob deGrom a little run support, and the National League Cy Young winner capitalized by tossing a complete game to lead New York to a 3-1 win over the Philadelphia Phillies. DeGrom struck out nine batters and allowed just one unearned run to improve to 8-7 with a ridiculous 1.71 ERA. Giancarlo Stanton produced another monster home run for the Yankees in a big win over the Bluejays. The rightfielder now has 31 for the season.